We offer a broad range of high-quality, inspirational courses in Scotland from beginner to advanced levels. Experience has taught us that large group sizes aren't ideal for anyone's learning and enjoyment so we set the lowest instructor to student ratios that you'll find. This is the ideal place to start if you haven’t been hill walking in winter before. Over the two days we'll teach you the skills you need whilst going on some great mountain journeys at the same time. 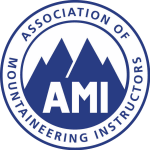 We'll cover all the essential skills including avalanche safety, the use of crampons and ice axes, basic winter navigation and more, so you have the knowledge and skills to enjoy the winter mountains safely. This is the ideal place to start if you haven’t been hill walking in winter before. Over the five days we'll teach you the skills you need whilst going on some great mountain journeys at the same time. The key difference between our 2-day introduction to winter skills and our 5-day winter skills week is the time available which means we can provide more opportunities for you to practice and develop your skills in a far wider a variety of situations, snow conditions and mountain areas. If you want to be guided on some awe-inspiring walks while having a good time, then this course will suit you. Our winter walking guides are highly experienced so whether you want to do ‘classic’ routes or would like to challenge yourself to summit a particular mountain, we will plan your trip to suit. From the perfect introduction for beginners to challenging routes up the remote mountains of the northern highlands, we can do it.